Interesting, but any wing sauce (or BBQ for that matter) that starts out its ingredient list with “high fructose corn syrup”, makes me pause these days. Actually, I think the whole HFC controversy is a little overblown. I’m okay with it. And Sweet baby Ray’s is what it is. 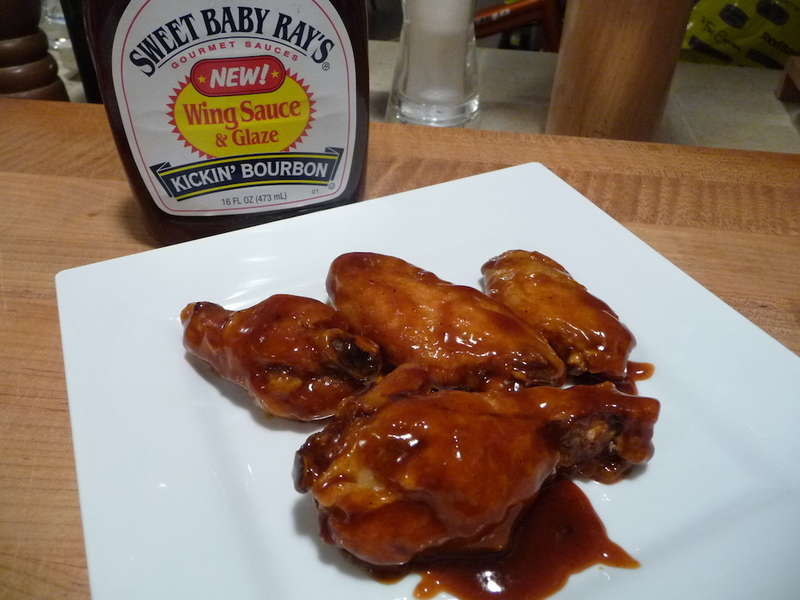 Terri, the first part of this post is all about SB Rays Chili Wing Glaze on wings. I think you’ve hit on a great idea to try it on ribs. Maybe someday! If you have any tips for us while using SB Rays Chili Wing Glaze… please let us know! 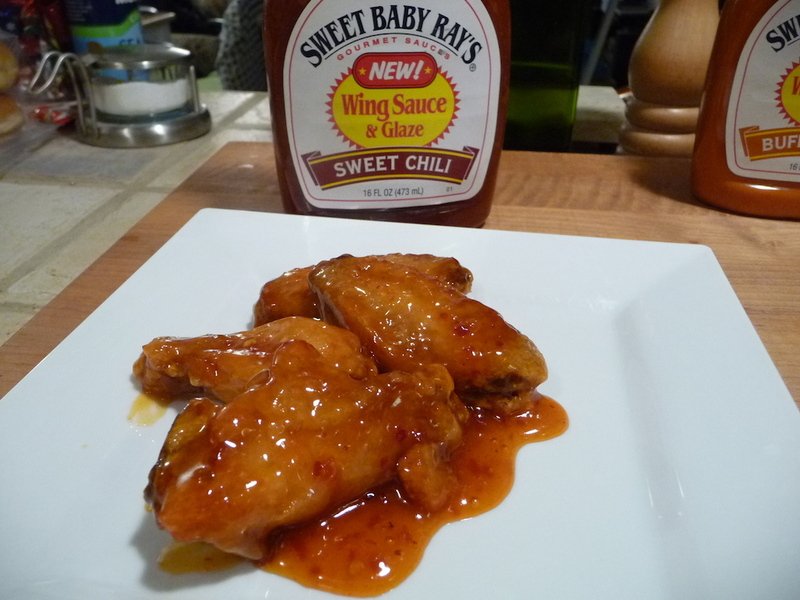 I had chicken wings cooked on on an outside grill and wings glazed in sweet chile wing sauce while cooking . Great presentation and the taste was fantastic!!! Looking for a store in my area that sells it !! Delicious !!! 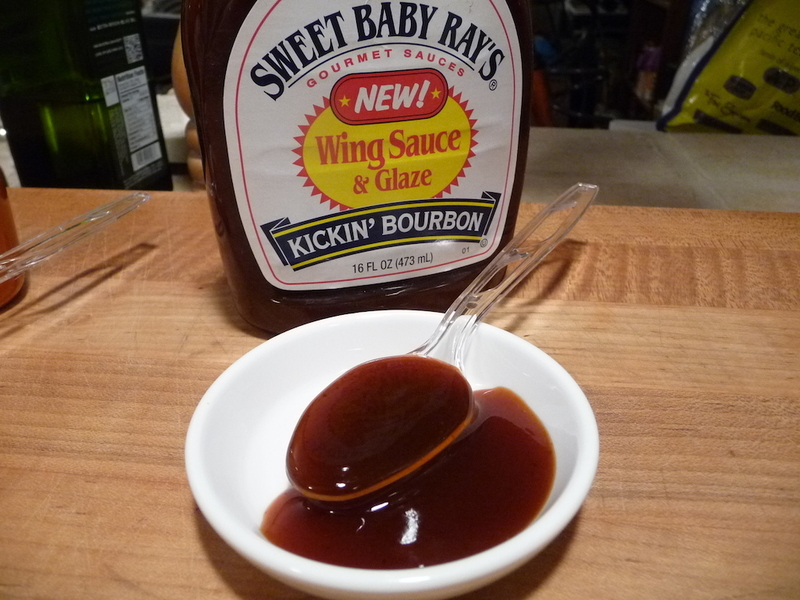 SBR also makes a wing “marinade” that is FAR FAR better than the sauce/glaze you tried. My walmart has it , among other places. The color difference between the two is very noticeable when held side by side. The marinade is a much darker , very red, orange. Comparitively, taste-wise, the glaze is lame. The “marinade” brings rave reviews with my guests. Wow, Thanks Eric! That is no small difference in overall taste – yet it’s a big difference in labels and appearance. Appreciate you pointing this out. Thanks! Uh-oh … I cant seem to find the “marinade” anywhere now! My wife noticed that a new bottle of glaze has the same upc code as an old bottle the marinade we have. I’m thinking they may have phased it out. bummer. I’m going to write to them. Bummer is right. 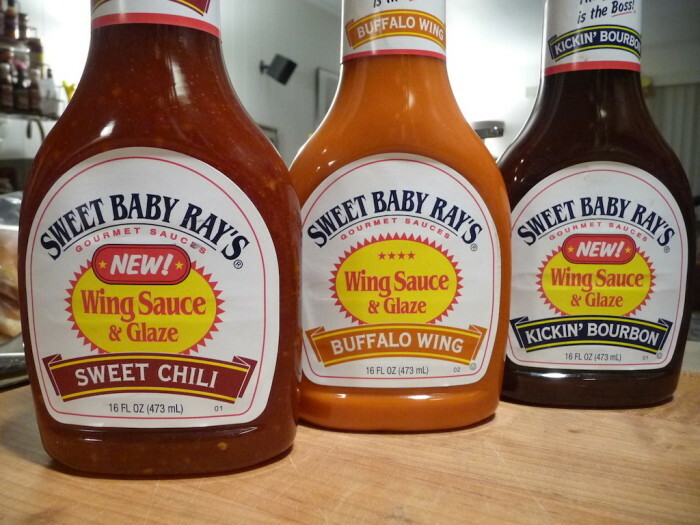 And there’s nothing on the SBR website that even talks about any of the wing sauces. 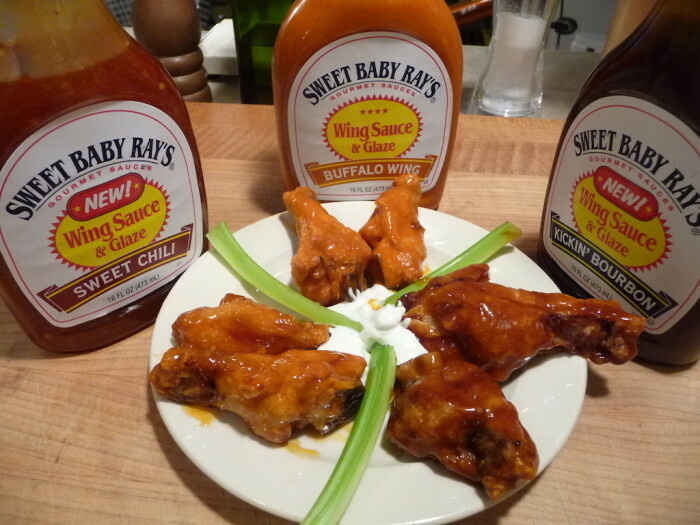 I wrote , they replied … They have gotten rid of the marinade and are sticking with the glaze formula. They even went so far as to say that it “was for the better” , what ever that means. I replied back that I thought it was a major mistake , but that I would continue to search for a replacement because I thought the glaze is lame, as does anybody else that has compared the two. 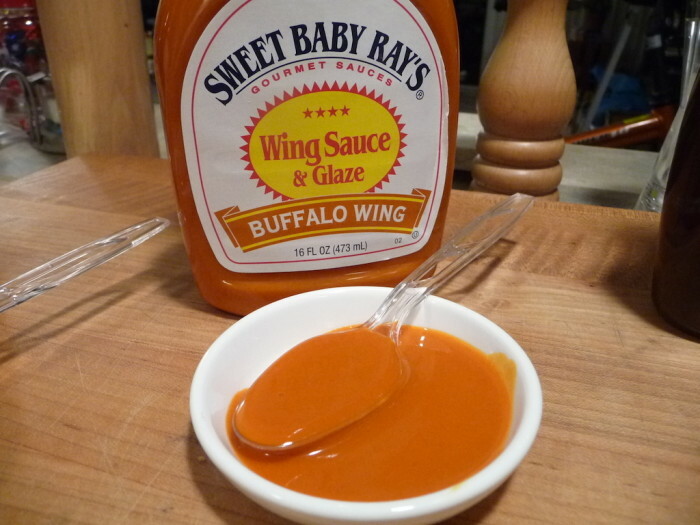 I did a wing sauce try out of my own and found the Franks (the hot sauce people) wing sauce is very similar to SBR’s marinade , but it is thinner and doesn’t cling as well . Which is fine I suppose , it tasted great. 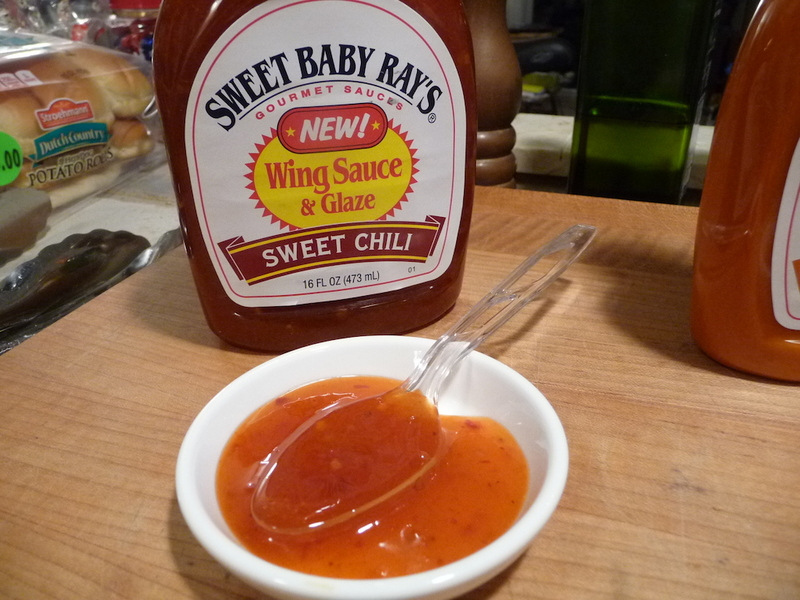 The “Louisiana hot sauce” wing sauce was pretty good also. I’ll use either one , compared to the SBR glaze , which even my tender mouthed 8 year old daughter hates on her chicken strips. LOL , i just read your review on the Franks , haha , I thought it was pretty good and didn’t notice a strong vinegary taste at all … bad batch maybe? I’ll give it another shot , but I’ll definitely give the texas pete’s a try now. Hey Eric. You’ve really been doing some “homework”! 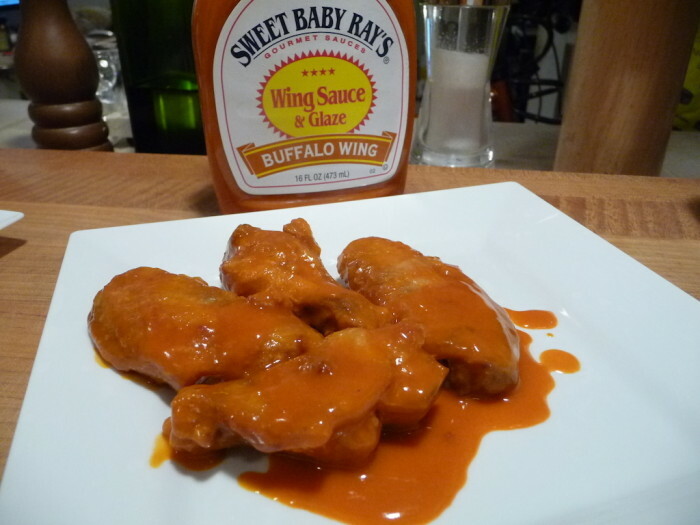 In hindsight, the Franks Wing Sauce is better than just Franks (hot sauce) alone.